Panel discussion with Poland’s State Secretary and Senator Anna Maria Anders, US Army Brig. Gen. Tom Cosentino, and US Ambassador Otto Reich examining Poland's transition from communism to freedom that began three decades ago. The conversation will cover what Latin American nations might be able to learn from Poland's experience. 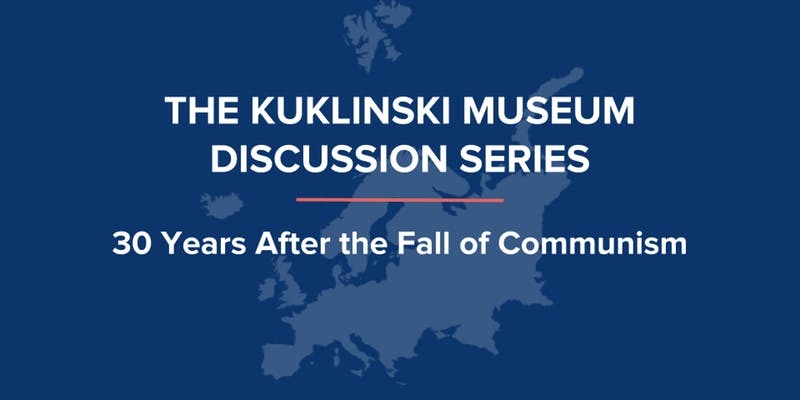 Please join us for a panel discussion examining Poland's transition from communism to freedom that began three decades ago. The conversation will cover what Latin American nations might be able to learn from Poland's experience. Journalist Claudia Rosett will moderate a discussion with Polish Minister and Senator Anna Maria Anders, former Ambassador to Venezuela Otto Reich, and retired Brigadier General Tom Cosentino. Free admission includes hors d'oeuvres and drinks. Sponsored by the Polish National Foundation and The General Ryszard Kuklinski Museum in Warsaw, Poland.